Is gold is a "tinderbox of price explosion" about to ignite? Last year was a perfect example of one of “paper” gold’s largest failings: It leaves the entire gold market vulnerable price manipulation and unnatural volatility. There is no question that 2013 wasn’t the best of years for gold, with its drop in price shaking some confidence in it as a safe haven. But here’s the truth: Global demand for gold in 2013 was still so incredibly strong that if it weren’t for “paper” gold products on Comex and ETFs, prices likely would have risen. Gold as a paper product is problematic to begin with. The highest and best use of gold and other precious metals is as a store of wealth in the face of withering inflation. To get that benefit, you must own the actual physical asset. The appeal of an exchange traded fund is understandable on the surface, but look a little closer and you can understand why gold ETFs do much more harm than good. An ETF is a security that tracks the value of an asset (or asset class), and which you own and trade like a stock. For gold and precious metals, it has meant that you can take quick advantage of price fluctuations without having to wait for delivery or worry about storage. We understand that this seems more convenient, but 2013 is case in point why cutting corners in such a way has been penny wise and pound foolish. ETFs are not the only problem, however, or even the biggest problem. Paul Craig Roberts explains in detail here how the Federal Reserve uses paper gold on the Comex market to manipulate the price of gold. He reveals how the Fed times the dumping of futures in order to cause the price of gold to plunge and spook investors. But a key factor here is that the demand for physical gold is so high that these dips unleash a flood of buyers – mostly in China and India – which makes these expensive machinations less effective than they otherwise would be. It is VERY important to note that these manipulations have a hard limit. They cannot be sustained forever, or even for very much longer. The mind boggling thing is that there are multiples more of paper gold “claims” than the physical gold in existence. 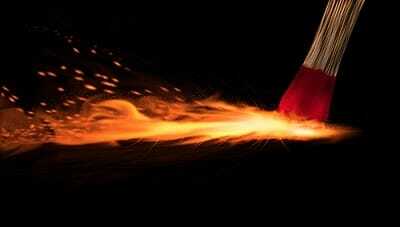 This is a veritable tinderbox of price explosion just waiting to be ignited. Last week, the World Gold Council reported that 2013 saw the largest year-on-year increase in consumer demand for gold since it began keeping records. The same report from the WGC found that gold supply DROPPED in 2013. China and India will NOT stop gobbling up gold. And now, as China faces a credit crunch, the Chinese are buying gold at an even higher clip (if that was possible). What has it meant for precious metals? Well, the market has been buying because it’s clear that last year’s dip in price won’t last. While it appears as though the dips are caused by manipulation from the paper markets (and thus quite artificial), the peaks are very much based in reality. And wouldn’t you know it: Gold has been soaring, now up in price 8 of the last 9 weeks. And silver? It has posted its longest rally in… GET THIS… 45 years! Prices are moving up – with that match approaching the tinderbox ever more closely by the day – but there’s still time to get in at what we consider to be relatively low prices. If you’ve been on the sidelines, now is the time to act. Give us a call. Or just click here to request your no-cost, no-obligation investment kit. Years from now, we’re confident that you’ll be glad you did. What can the United States do about the money owed to China? 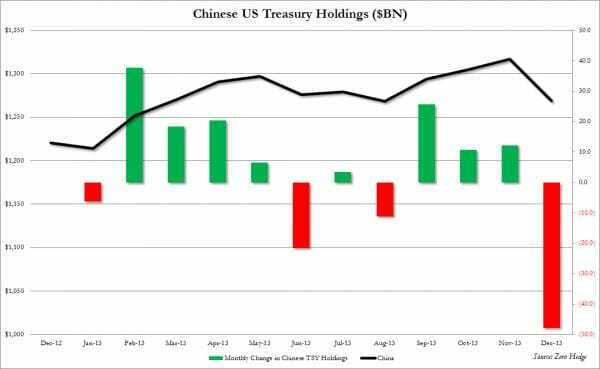 In December, China sold off the second largest amount of US Treasury’s ever – $48 billion in paper!